Have you ever wanted to taste olive oil coming directly from the press? 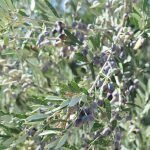 Have you ever wondered how many different olive varieties exist? And which ones are better for extra virgin olive oil production? 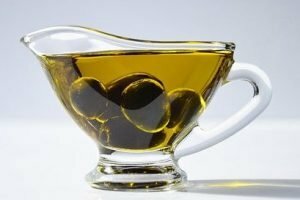 The Extra Virgin Olive Oil from Crete is one of the highest quality extra virgin olive oils in the world, and Crete the most important island for the industry. According to archaeologists, the true origins of the olive tree go back in time as long as 60,000 years. The oldest equipment for storing olive oil dates back to 3,500 BC. 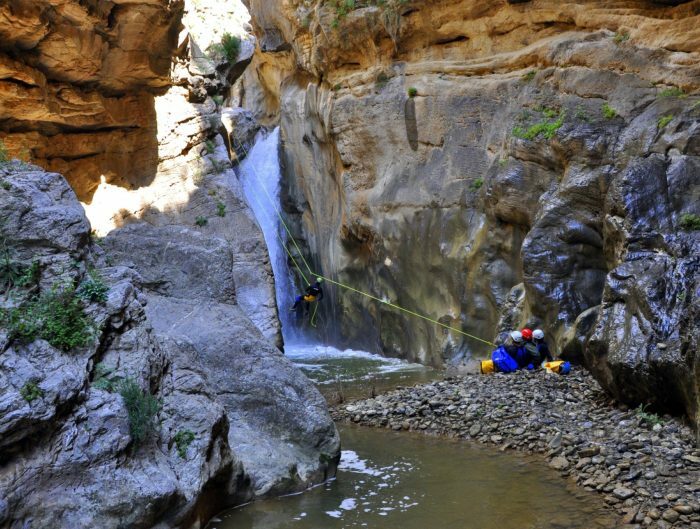 It was found on Crete which suggests that it is there where everything started. 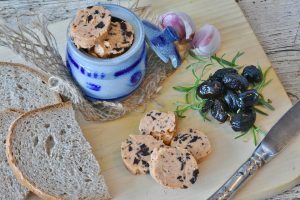 Olives have always been important for their nutritional value. In old times, both the oil and the wood served fuel, building material and more. The crushed olives remaining after the pressing were most likely food for the domestic animals. Olive trees are such precious trees that they naturally turned into an icon. In Ancient Greece, it was common to make offerings of olives to the Gods. Also, a wreath of olive twigs was a present for athletes competing in the Olympic Games. There is a widely spread religious tradition of respect and worship of olive trees. Olive oil is a key element in burial ceremonies, baptisms, harvest festivals. 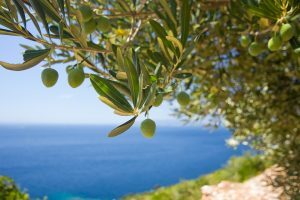 In Greece, sailors sprinkle the oil on stormy seas and newborns still receive a new olive tree as a gift. The production of olive oil in Greece is currently based on small farms. There are 17 Protected Designation of Origin (PDO) regions, each producing olive oil with distinct characteristics. Greece holds the world’s highest annual consumption: About 32 pounds per year. Besides, Greece is the world’s largest exporter of Extra Virgin Olive Oil. A superior quality and excellent organoleptic properties grant an unparalleled taste and aroma. These have further increased Greek exports thanks to the increasing importance of the Mediterranean diet. 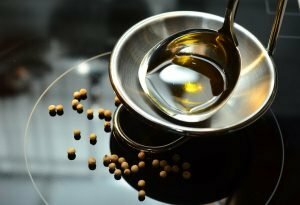 Consumers all over the world have learned value olive oil and the unique virtues of Greek olive oil. 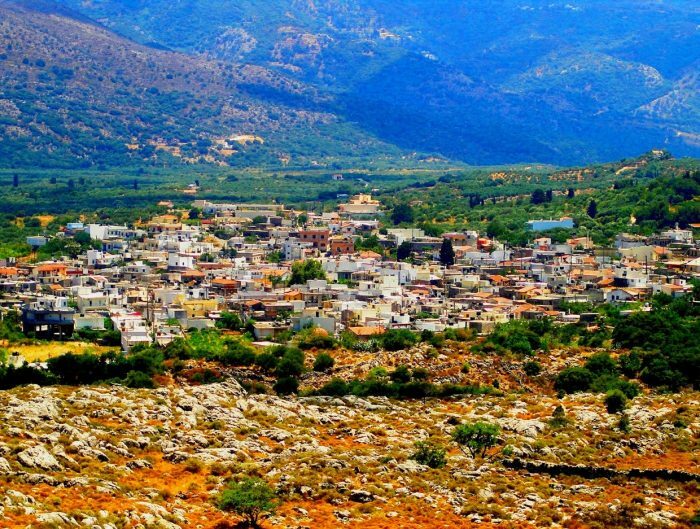 Crete is the second national producer of EVOO with 30% of the national production. 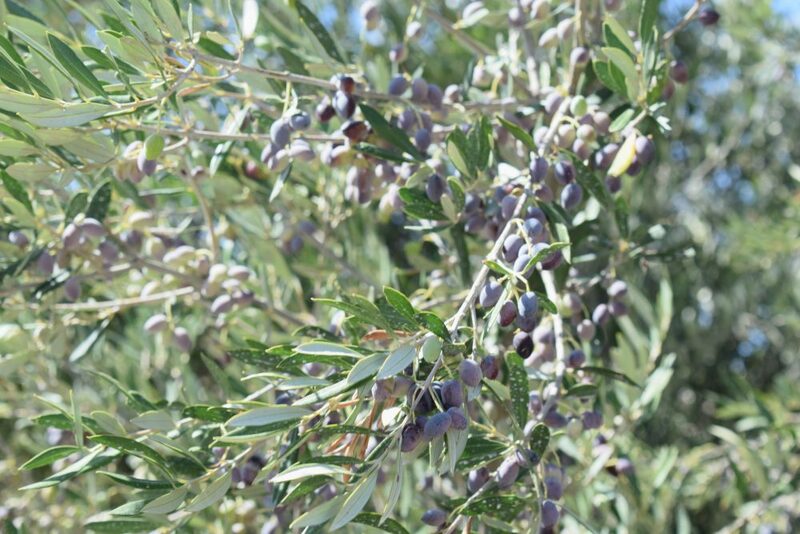 Endless fields of olive trees have naturally led to the registration of 9 PDO regions. Being Koroneiki the most predominant variety, while some other local varieties, such as Tsounati, Throumbalia, and Hondrolia. Each of them accounts for the distinct flavor of every region. This all-natural food is the single most important element of the world-famous Cretan diet. Extra virgin olive oil from Crete is abundant in monounsaturated fats, vitamins, antioxidants, and nutrients of exceptional value. 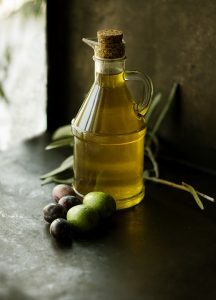 Cretan olive oil is associated with longevity and overall health. Olive oil is not just another ingredient of the island’s diet. It is probably one of the most important elements of the local culture. Cretans consume olive oil in any possible way. They pour it on toasted bread for a snack, but also fry, cook, roast, and to condiment breakfast, lunch, and dinner. The population also use it medicinal and cosmetic purposes, to soothe or moisturize both skin and hair. A perfect balance in terms of flavor, aroma, color, and acidity level give value to extra virgin olive oil. In fact, its delicate consistency makes it perfect for dressings as well as for cooking. High-quality Extra Virgin Olive Oil is present in the kitchens and tables of our newest gastro hotel, in the in-suite food stations, as well as in our restaurants. 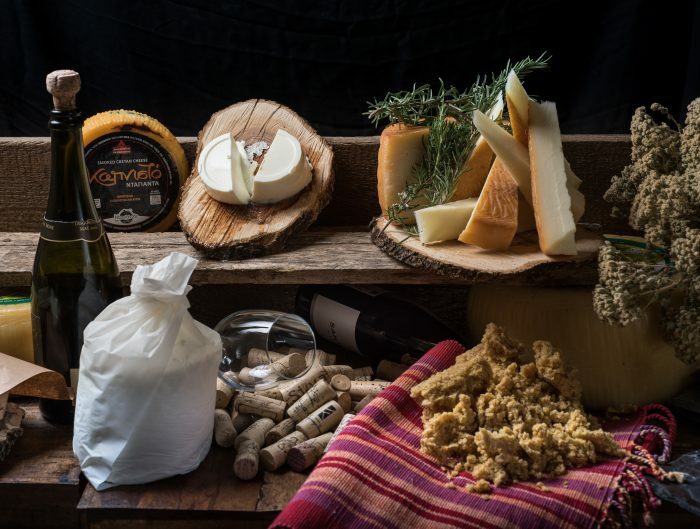 These have ignited the curiosity of visitors eager to learn more about Crete’s green gold. It is possible to visit local producers to sample the varieties, but also to witness the process of production, from the harvest to the mill. If you are staying in one of our hotels, we will be happy to arrange a visit to one of these family factories producing one of the best Extra Virgin Olive Oils from Crete. Really nice design and style and superb content material. Fantastic website. Lots of helpful information here. I am sending it to some pals and additionally sharing it! Delicious.